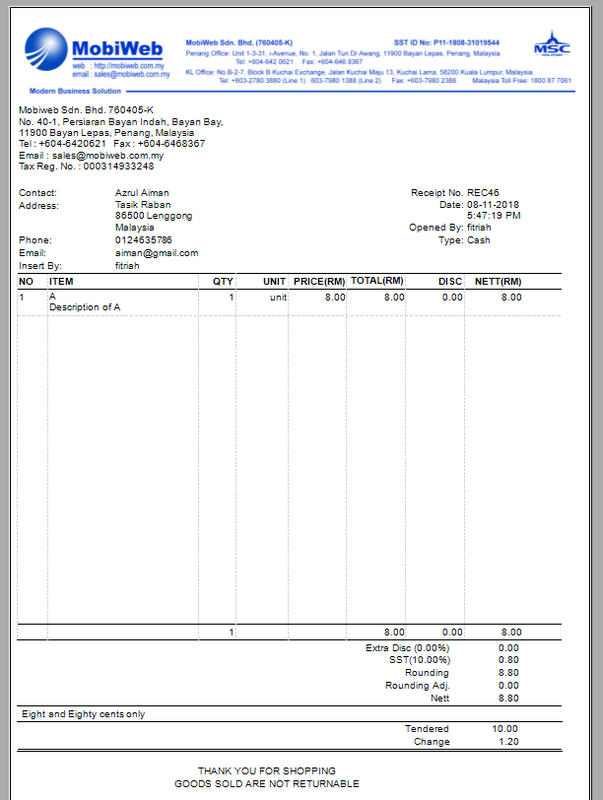 SST (Sales and Service Tax) shall be levied and charged on the taxable supply of goods and services made in the course or furtherance of business in Malaysia by a taxable person. 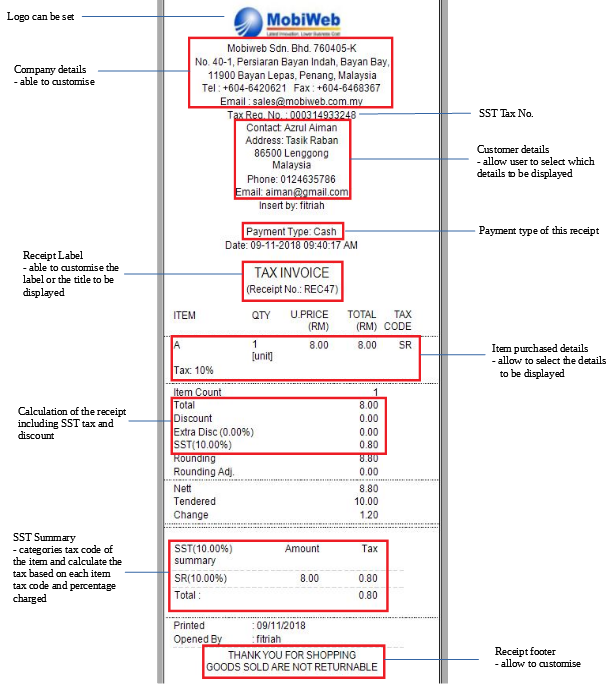 It is crucial to issue correct and proper Tax Invoice to customer for companies registered under the SST system. 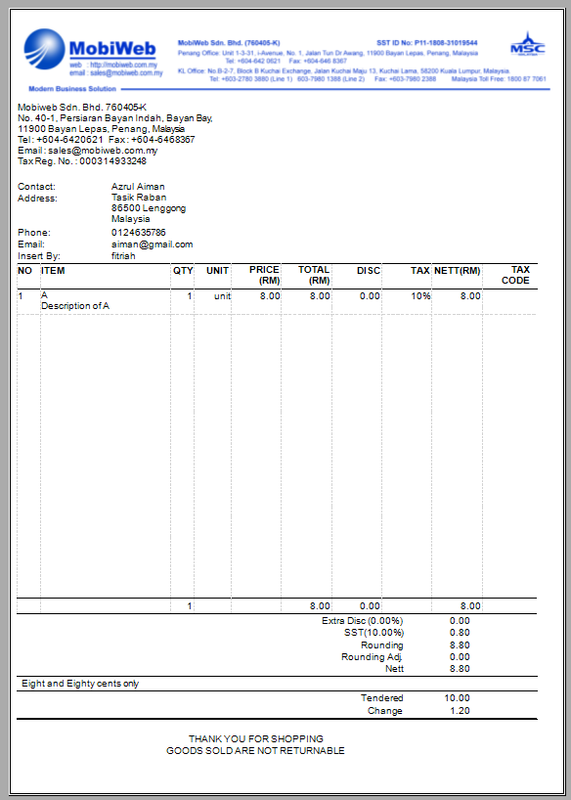 It acts as the primary evidence to support an Input Tax Credit claim. 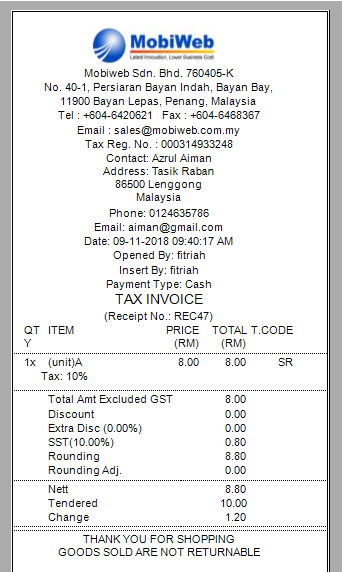 It is compulsory to issue a tax invoice showing the amount of SST charged and the price of the supplies separately. 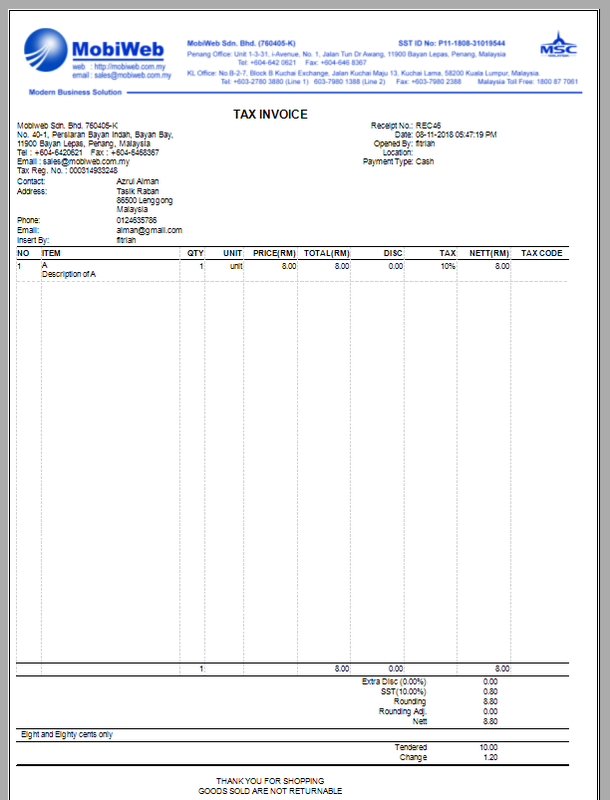 Simplified Tax Invoice is usually used by retailers who generate vast amount of invoices everyday to the end consumers such as supermarket, restaurants, petrol kiosks and other point of sales outlets. 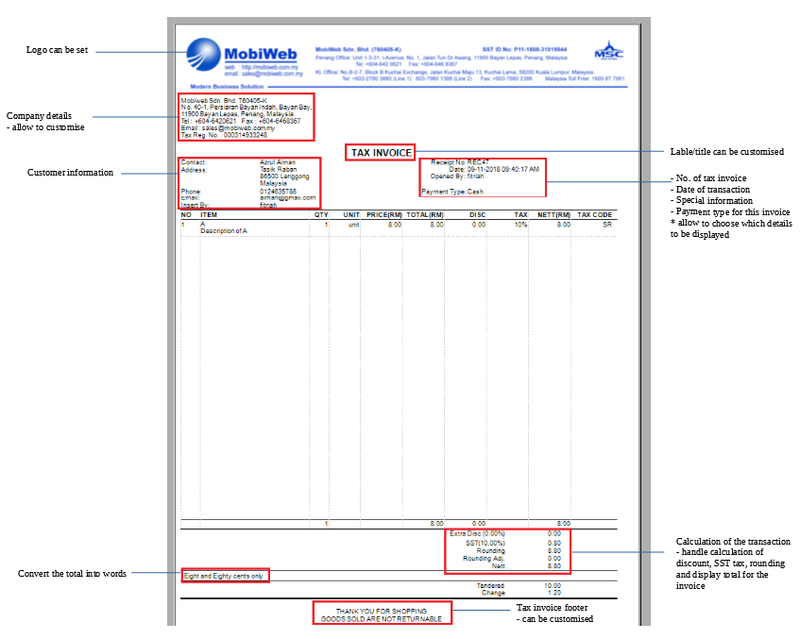 It is able to take form of an invoice, receipt or voucher with the necessary information of a simplified tax invoice. 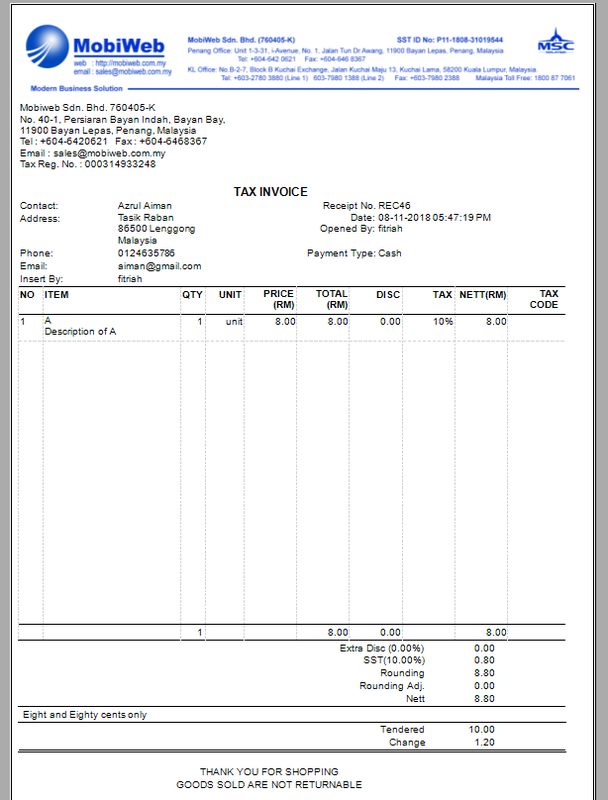 Simplified Tax Invoice without recipient’s name and address can also be used to claim input tax. 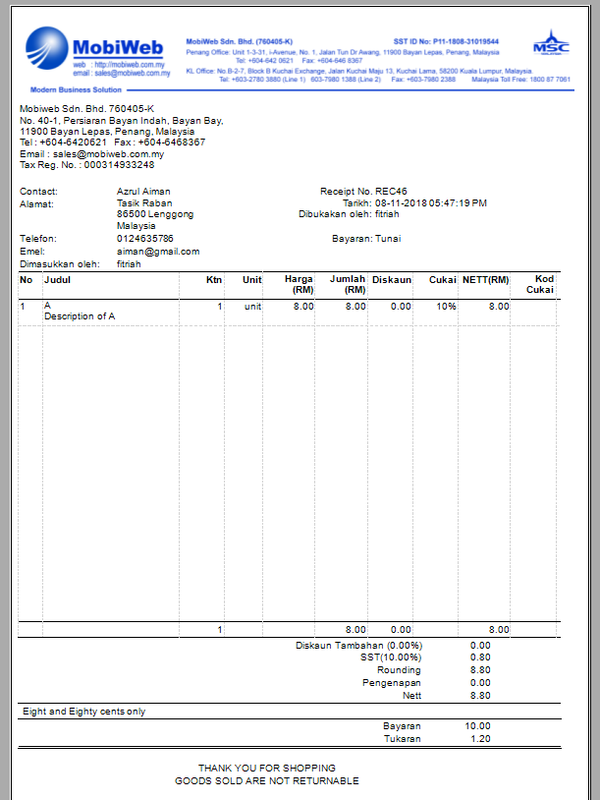 However, the maximum amount of claimable tax is RM30.00. 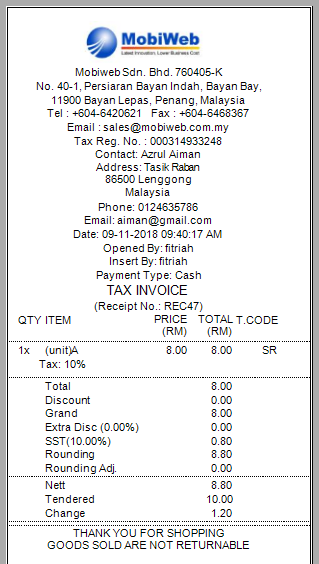 If the recipient wants to claim the full amount of input tax (more than RM30.00) a Full Tax Invoice would be more appropriate as it includes both recipient’s name and address. 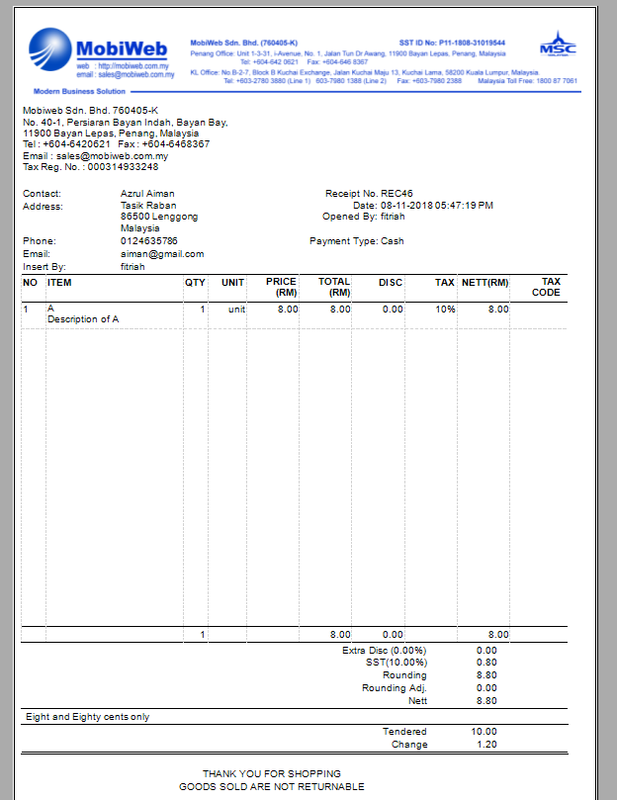 Do not hesitate to contact us if you have any inquiry regarding our POS Sales and Service Tax (SST) Invoice Receipts. 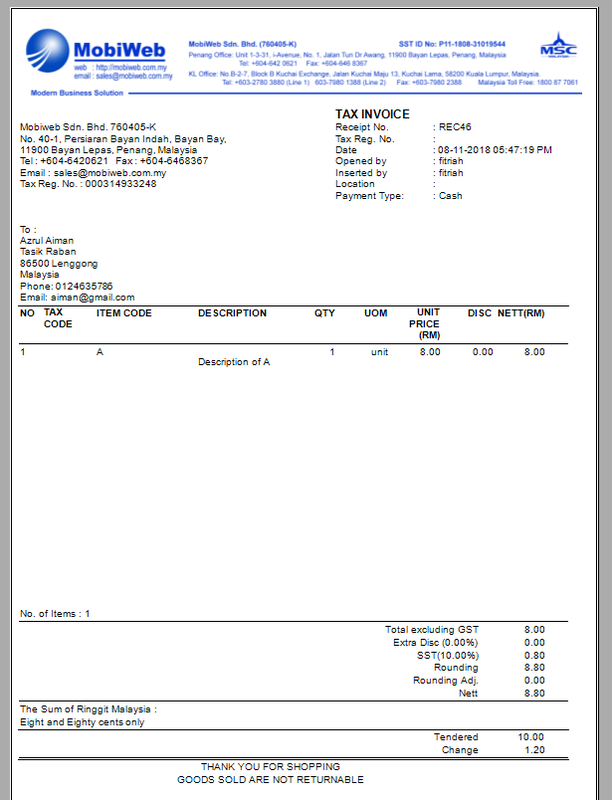 BMO POS System is now offering Tax Invoice Receipt with necessary built-in features that can be customized based on your business preferences.